﻿ Eccentric Reducer, ASME B16.9 Concentric & Eccentric Reducer Exporter. 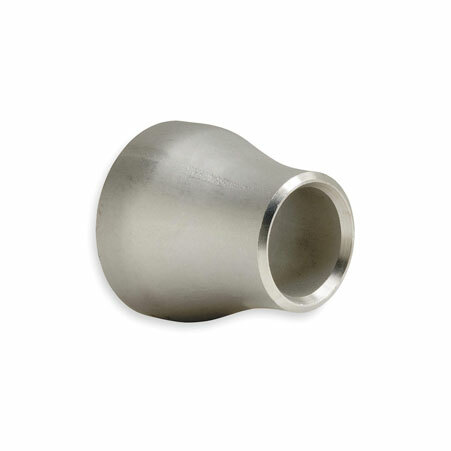 ASME / ANSI - B 16.9 Reducer Manufacturer, ANSI B16.28 Stainless Steel Eccentric Reducer, SS Pipe Eccentric Reducer, Duplex Steel Eccentric Reducer Supplier In Worldwide. Amco metals guarantees on-time delivery of products to its customers. We use the best logistical support to get our products delivered on-site, packaged in premium, tight sealed cartridges to avoid damage during transportation. 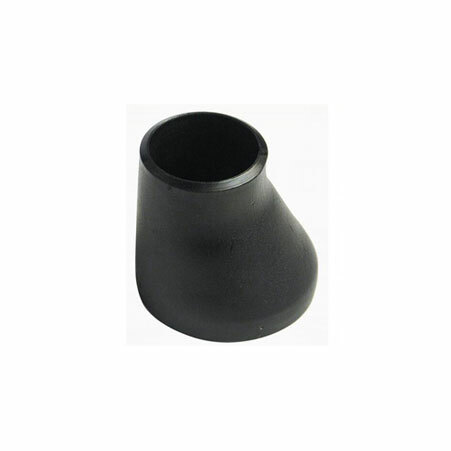 We are a manufacturer, trader, stockiest, supplier and exporter of Eccentric Reducers, in seamless and welded form, which allow easy joining of dissimilar pipes for the most favorable drainage of the pipeline. Tested for the precision and water tight sealing ability, our Alloy 20 Eccentric Reducers reduce stress, turbulence, vibration and electrolysis. We supply Cupronickel Eccentric Reducers to the shipbuilding and marine industry; they have superior strength and seawater resistance. Our portfolio consists of highly reliable products that we have built across the span of 25 years; we invent sustainable and customizable products. 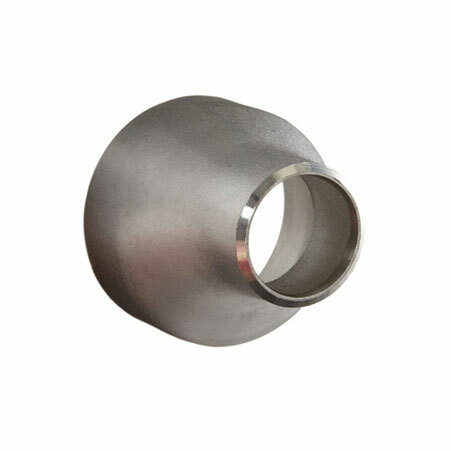 Titanium Concentric Reducer Manufacturer, Alloy Steel Eccentric Reducer Exporter, SS Eccentric Reducer, High Nickel Eccentric Reducer, Monel Reducer Supplier In India. Ecuador, Costa Rica, Libya, Puerto Rico, United States, Lithuania, France, Venezuela, China, United Kingdom, Indonesia, Switzerland, Nigeria, Australia, Qatar, Azerbaijan, Czech Republic, Bangladesh, Greece, Argentina, Iran, Jordan, Japan, Mexico, Sri Lanka, United Arab Emirates, Trinidad & Tobago,Tunisia, Chile, Mexico, Bahrain, Spain, Nepal, Slovakia, Turkey, Belgium, Tibet, Israel, Taiwan, Afghanistan, Bhutan, Philippines, Iran, Namibia, Hong Kong, Angola, Malaysia, Algeria, Serbia, Estonia, Chile, Poland, Russia, Pakistan, Colombia, Hungary, Germany, Norway, Ukraine, Oman, South Africa, Sweden, Kuwait, Mongolia, Italy, Thailand, Finland, Egypt, Saudi Arabia, Peru, Morocco, Nigeria, Macau, Denmark, Portugal, Croatia, Kenya, Netherlands, Bolivia, Iraq, Lebanon, India, Vietnam, Romania, New Zealand, Belarus, Austria, Bulgaria, Gabon, Singapore, Poland, Ireland, Zimbabwe, Canada, Ghana, South Korea, Gambia, Kazakhstan, Brazil, Yemen. Dubai, Rio de Janeiro, Ernakulam, Lahore, Bangkok, Surat, Bhopal, Bogota, Vadodara, Jaipur, Chiyoda, New Delhi, Chennai, Al Khobar, Jakarta, Nashik, Aberdeen, Vung Tau, Muscat, Algiers, London, Thiruvananthapuram, Granada, Ho Chi Minh City, Brisbane, Petaling Jaya, Jamshedpur, Indore, Caracas, Karachi, Singapore, Bengaluru, Rajkot, Ranchi, Cairo, Mexico City, Ankara, Kuwait City, Courbevoie, Nagpur, Al Jubail, Ulsan, Kanpur, Faridabad, Colombo, Atyrau, Dallas, Chandigarh, Manama, New York, Haryana, Milan, Pune, Jeddah, Kuala Lumpur, Coimbatore, Riyadh, Tehran, Kolkata, Istanbul, Pimpri-Chinchwad, Gimhae-si, Hong Kong, Ludhiana, Doha, Baroda, Gurgaon, Hyderabad, Hanoi, Montreal, Thane, Visakhapatnam, Busan, Mumbai, Perth, Port-of-Spain, Seoul, Calgary, Los Angeles, Geoje-si, Secunderabad, Melbourne, Sydney, Abu Dhabi, Navi Mumbai, Houston, Santiago, Howrah, Moscow, Madrid, La Victoria, Noida, Dammam, Sharjah, Edmonton, Lagos, Ahmedabad, Toronto, Ahvaz.